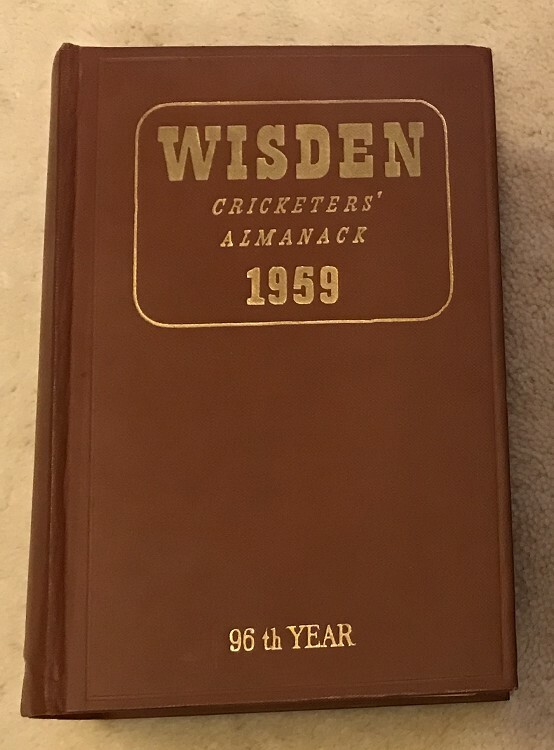 This lot is an 1959 Original Hardback Wisden, in Very good++ condition, the book is hard to fault, nice bright gilt, super hinges and clean pages, hard to beat. If being picky the spine gilt is a bit darker than bright and one mark to the page block but a wonderful book. Super strong hinges.